The Bounty of the Elements lore arc introduced several new characters to the world of Sornieth! Who were your top three (3) favorite characters? Were you inspired to put together a complete 'look' for them in the Dressing Room? Click here for this week's discussion thread and the spotlight for the Science! theme week! [center][img]https://i.imgur.com/C2PCohY.png[/img][/center] ----- Here we go, the Plague boy himself! Ah I really loved his awkward and a bit intimidating demeanor. I feel like the Sanddune Rags fit him because he didn't seem all that "high class." He wasn't very trained (seeing as he had casual conversations with the dragon who held the most powerful weapon against the Plague flight) but very kind. I really hope he survives, too bad he wont fly again... [center]----[/center] [center][img]https://i.imgur.com/3MyBCtM.png[/img][/center] ----- Alright now here's Gleam! I kinda imagined that her name comes from how her scales kinda contrast, so I imagined her to have dark scales with bright wings and tertiary. I put runes on her since she seemed kinda bookish...ya know, since she was documenting the area of Hewn City. That's also why I gave her the Light Tome, lots of books. [center]----[/center] [center][img]https://i.imgur.com/EdPinlD.png[/img][/center] ----- I tried to go all out "THIS IS A LIGHTNING DRAGON" on Beatrix. I imagined all the magisters to really go all out in their appearances to look apart of their flight, at least with clothing. Beatrix kinda did too, but I think it would've been forced on her. She doesn't really seem the type to go ahead and take it all out with her appearance. Welp, with that I'm all done! So hope ya guys like em'! Alright now here's Gleam! I kinda imagined that her name comes from how her scales kinda contrast, so I imagined her to have dark scales with bright wings and tertiary. I put runes on her since she seemed kinda bookish...ya know, since she was documenting the area of Hewn City. That's also why I gave her the Light Tome, lots of books. I tried to go all out "THIS IS A LIGHTNING DRAGON" on Beatrix. I imagined all the magisters to really go all out in their appearances to look apart of their flight, at least with clothing. Beatrix kinda did too, but I think it would've been forced on her. She doesn't really seem the type to go ahead and take it all out with her appearance. Welp, with that I'm all done! So hope ya guys like em'! I went out and bought a Garote dragon shortly after the Plague/Nature lore dropped. I imagined that he'd be mostly dark-colored with some brighter orange, red, or green. 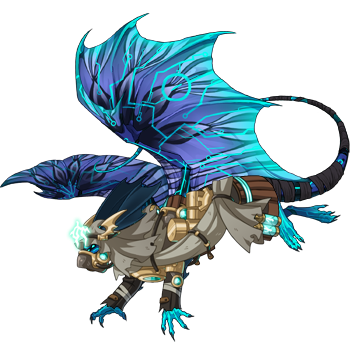 [url=http://flightrising.com/main.php?dragon=39237127] [img]http://flightrising.com/rendern/350/392372/39237127_350.png[/img] [/url] I picked bony apparel for him but I also added the flower crown that Liefa made for him. I'll add some scries of two other characters soon. I went out and bought a Garote dragon shortly after the Plague/Nature lore dropped. I imagined that he'd be mostly dark-colored with some brighter orange, red, or green. 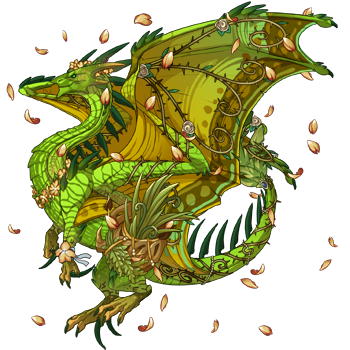 I picked bony apparel for him but I also added the flower crown that Liefa made for him. I'll add some scries of two other characters soon. I could only chose one between Chasem and Gertrude, and that was hard! Beatrix was my favorite. Because she was confident and stood up for herself, and she was clever as well. My favorite kind of girl. [img]http://flightrising.com/dgen/preview/dragon?age=1&body=129&bodygene=15&breed=3&element=5&gender=1&tert=99&tertgene=5&winggene=17&wings=10&auth=86f130bb55fe115999a51fb45f5d9b14d1cb1a20&dummyext=prev.png[/img] Next is Garote. He was awesome. Brave guard boy who has to pretend he doesn't care. Such a good friend. [img]http://flightrising.com/dgen/preview/dragon?age=1&body=1&bodygene=1&breed=8&element=2&gender=0&tert=59&tertgene=14&winggene=20&wings=131&auth=6a02a56001181389311de96cb51c2e6874e94cbb&dummyext=prev.png[/img] [img]http://flightrising.com/dgen/preview/dragon?age=0&body=136&bodygene=1&breed=4&element=4&gender=1&tert=117&tertgene=10&winggene=1&wings=117&auth=f4f752e51476a107e5cbc355e7be26ea3b421c72&dummyext=prev.png[/img] And Splash. Adorable little Pearlie with eyes bluer than the ocean, with such a good personality from what we saw. Beatrix was my favorite. Because she was confident and stood up for herself, and she was clever as well. My favorite kind of girl. Next is Garote. He was awesome. Brave guard boy who has to pretend he doesn't care. Such a good friend. And Splash. Adorable little Pearlie with eyes bluer than the ocean, with such a good personality from what we saw. Oh no, poor Liefa! She failed so hard and tried so hard. And poor little Kamak who lost his sister! He kept her pearl. Since he’s a hatchling, he can’t wear apparel. But when he can, he’ll wear a satchel to keep the pearl in. Howle was my favorite, because it turns out I already had him in my lair! 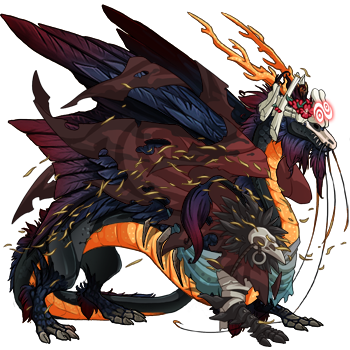 He's still missing Iridescent/Safari/Thylacine to complete his look. Garote is a close second because of how he saved Liefa- I hope he survives his injuries! The scry is Antique/Copper/Sable for anyone wondering! And Gleam because I've got to show some Light flight pride! We didn't get any description for her other than her breed, so for now I'm going to believe she looks like my lady, Noir.